Welcome back to this week’s single review of another quality jacket. This is one of the best brands you will find online. That’s why we continue to introduce you to some of their best designs. 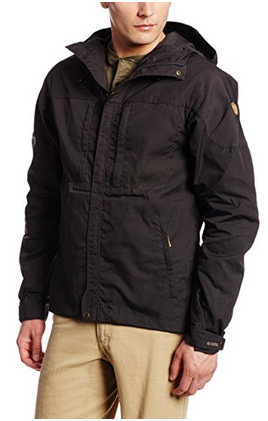 It’s the Swedish brand Fjällräven, a recurring brand on our site and a favorite of ours. 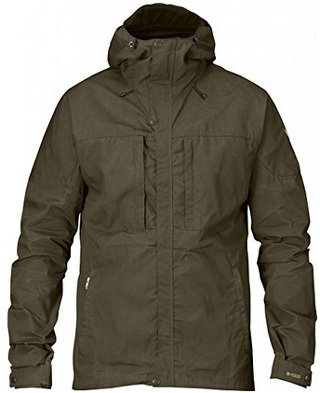 The jacket we have selected to take a look at is called Skogsö, a very interesting design. As you know by now, we will be looking at four different aspects of this design: when to wear the jacket and what are the key features, the material it is made out of, the color selection and the feedback by those who have worn it. 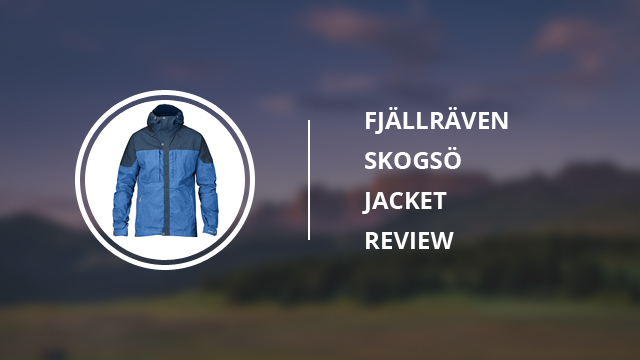 Skogsö is a true versatile jacket for a variety of outdoor activities. Be it the ordinary ones, like walking or biking to and from work, to the more challenging ones like trekking, running and other sports. 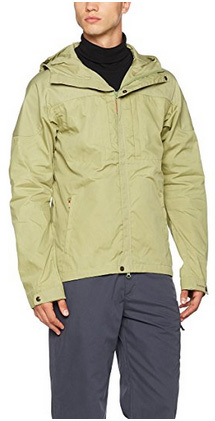 Since this is a water-resistant jacket, it is best suited for dry weather, or light raining at best. While it might be a bit of an issue to those who are looking for a weatherproof piece, keep in mind that a fully waterproof jacket is not very breathable. This is especially important if you are active and prone to overheating. So do not see it as an issue, rather look at it as a feature. Another reason why this is not a problem, is that should you need a waterproof jacket, there is always waxing. 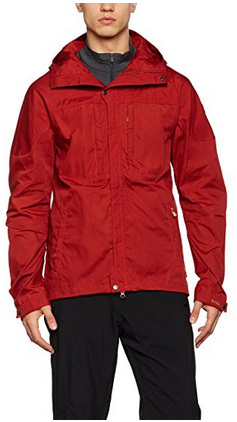 Using the brand’s own waxing products, you can turn Skogsö into a waterproof jacket. Do keep in mind that breathability will be heavily affected afterwards, however. Moving onto the build of the jacket, you will find an attached and adjustable hood. The collar is high and adjusts with the hood’s drawstrings. The sleeves come with push buttons for adjustment as does the bottom hem. There are two side pockets and two chest pockets, all with zipper closures and with flap covering. The main zipper is highly resistant against water, also helped by a push-button flap to completely close it off against rain. This is a straight-cut jacket, which fits closely to the body, with oversized sleeves and with a longer hem in the back. 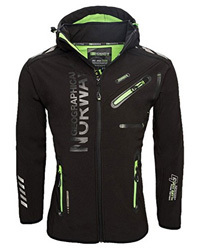 This way you can layer it and wear it while cycling, walking or running. The fabric is a blend of 60% Polyester and 40% Cotton. The polyester helps keep it breathable and protect against the rain, while the cotton keeps it comfortable, warm and soft. The fabric itself is part of the G-1000 Lite series, while on the shoulders there is G-1000 Original fabric. This fabric is highly durable to wear and tear and you are making an investment that will last you for many years to come. It is also a fabric suitable for waxing that will not lose its qualities afterwards. While we do run into an issue with men’s jackets when it comes to the limited color options, Skogsö comes in eight colors. They range from the classic Black, Navy and Dark grey, to the more trendy ones, such as Bright red, Willow and Uncle blue. Apart from those, there are also some neutral colors, also very modern and that are easy to match with your outfits. These are Dark olive and Green, two timeless options when it comes to jackets. First things first, the price is up there and we strive to be as honest as possible, so you can make an informed decision and not spend money needlessly. 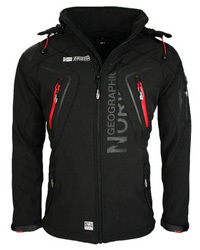 To help with this, we always take the unbiased input of customers who have bought and tested this jacket in different conditions. Skogsö, much like the brand’s other jackets, lives up to its claims. 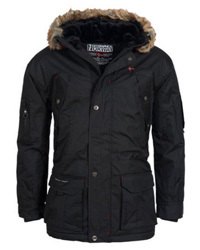 While it is not weatherproof, it stills fares well under different conditions and it remains very breathable the whole time. The fabric quality is what you expect from the brand and it is indeed durable and resistant to wear and tear. There are those who have had this jacket for over a year and it has yet to show any sign of wearing. The one issue you might run into, which is common for any clothes you buy online, is the size. 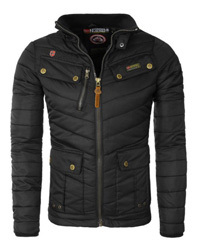 This jacket tends to run wide at the shoulders and slimmer at the waist, so lookout for that. Fjallraven Skogsö is exactly what it claims to be: durable, weather-resistant and comfortable for a variety of activities. 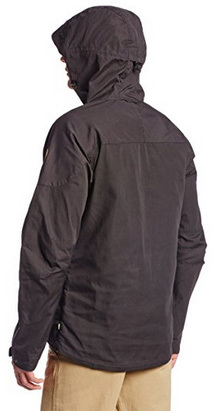 If you are in the market for a quality jacket that will be with you for years, then give Skogsö a shot.